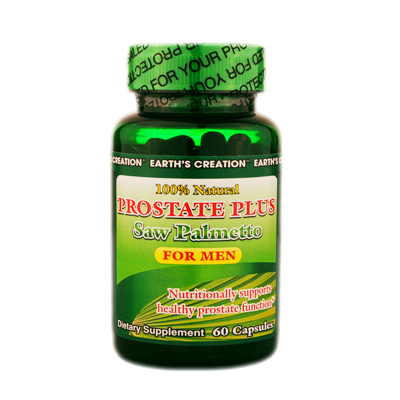 Prostate Plus For Men® is a synergistic formula containing Pygeum Africanum, Pumpkin Seed Oil, Vitamin E, and Zinc Gluconate with Saw Palmetto as the primary ingredient which has been used to treat benign prostatic hyperplasia (BPH), an enlargement of the prostate gland that affects about half of all men older than fifty. BPH is a noncancerous growth of the prostate gland. If the prostate grows in mature men, it pinches the urethra, or urine tube, and problems begin, including painful urination and frequent nighttime trips to the bathroom. Researchers estimate that BPH affects about ten million men in the United States — some in their forties, half of all men older than fifty, and four out of every five men older than eighty.